Leadership development is an ongoing process and can best be realized in a group or team-setting. For over 20 years, MLI has operated leadership programs and partnered with other organizations to bring valued leadership services to variety of clients. The five programs below highlight some of these initiatives and programs. A one week long leadership program for directors of nonprofit organization from across the country. 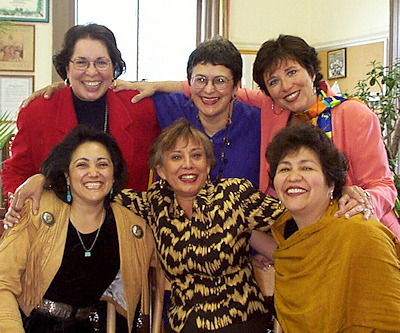 Beginning in 1996, the institute was designed and led by MLI’S president Juana Bordas who has over 25 years leading nonprofit organizations. A unique feature was bringing together nonprofit directors to learn from one another and to enhance the capacity of nonprofit organizations. This included training executive directors from 90 Urban Leagues across America. Initiated in 2001, the LLDP was designed to assist mid-level to senior Hispanic managers become more effective organizational leaders, increase visibility, and strengthen management skills. The one week program included personal assessment, one-on-one coaching, and developing a career plan. The LLDP operated for 10 years and worked with 250 talented Latino professionals. The CLL was operated by MLI’S nonprofit arm. Its mission: “to prepare the next generation of Latina Leaders.” Initiated in 2002, the program included 100 hours of leadership training, including a mentoring component, and community action project. 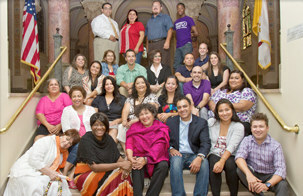 In ten years of operation, CLL trained over 165 emerging Latina leaders. Today these young women have stepped up to leadership. 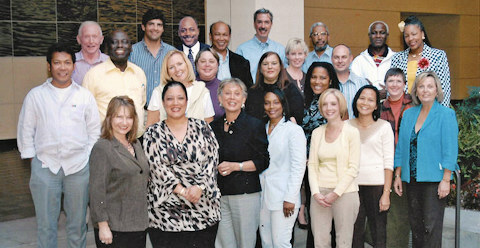 Many are leading organizations and community initiatives. This program just celebrated their 10 year anniversary. Operated through the Hispanic Association on Corporate Responsibility; the goal is to assist keep young Latinos stay connected to their culture, contribute to the Hispanic community, and keep moving up in corporate America. Collectively YHCA is the most powerful Latino network in Corporate America. Operated by the Illinois Latino Policy Forum the Academy was started in 2007 to assist nonprofit directors improve their leadership abilities and enhance their organizations. A special consultant worked with each organization to grow their capacity. The Academy was a 3 session 3 day residential intensive and continued with public policy advocacy groups. As part of the leadership team, Juana Bordas assisted with the program design, provided training in diversity, leadership and personal assessment.